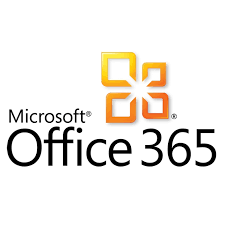 Microsoft Office 365 is a new, innovative and integrated cloud-based service that allows users to gain access to their documents anywhere and at anytime. As more on-site employees turning into remote workers, and utilizing an average of 3 devices to get their job done, companies are transitioning away from the traditional software and towards cloud-services that offer flexibility and collaboration between team members, no matter where they are. With these changes, however, comes new technologies to learn and with only so much time to do so, there are countless tips that go undiscovered. These tips and shortcuts can drastically improve workflow and efficient processes when using Microsoft Office 365**. 1. Introduction – Get the basics of Office 365 in one simple introductory Learning Moment. Learn about OneDrive’s Accessibility, Office Online Featured, and Lync’s Communication features. Learn what the Cloud can do for you. 2. Sharing Files – One drive for Windows 8 let you access your files from any device or PC. Learn how to get access Anytime, Anywhere. 3. Co-authoring Word – Office 365’s Word, Co-authoring documents just got easier. This Learning Moment shows you how to author and edit documents simultaneously with your coworkers. 4. Co-authoring Excel, PPT and OneNote – In any company, “Collaboration is Key”. Collaboration similar in all Office Online Apps, with only a few slight differences. Learn how to Co-author in PowerPoint, Excel and OneNote. 5. Trouble-shooting Word Online – Learn to avoid, fix and troubleshoot common problems in order to fully benefit for Word’s Co-authoring features.